Newman University prides itself on its mission to prepare students to transform society, and Newman alumna Alaina Garrett is a shining example of the opportunities that the university affords its students. Alaina Garrett in Washington, D.C.
As a college freshman and having been homeschooled, Garrett had less experience in a formal education setting than her peers. 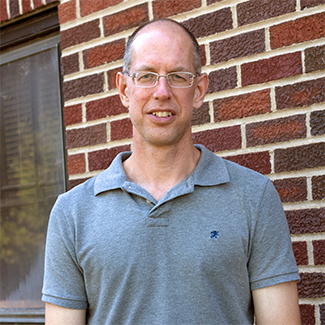 Garrett’s faculty advisor, Kelly McFall, Ph.D., spoke highly of his former student. “Alaina quickly adapted and was a star from her freshman year. What was most remarkable was her willingness to engage in new opportunities,” McFall said. While at Newman, Garrett broadened her horizons by going on a study abroad experience in Europe. McFall, who lead the trip, said that one goal of the trip was to help students learn how to travel, like navigating public transport. Almost immediately after returning to the United States from Europe, Garrett was ready for another departure. 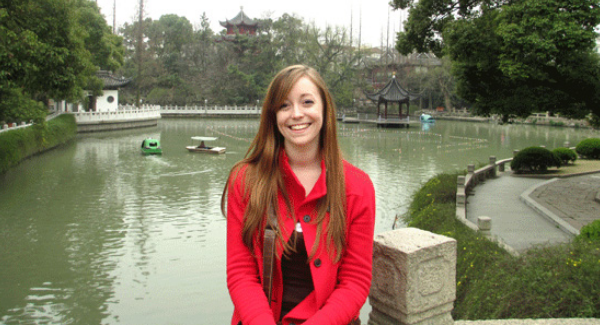 After her return to Newman, Garrett worked with Cheryl Golden Ph.D., professor of history, who helped Garrett arrange a solo semester abroad in Shanghai. Garrett continued on her journey by backpacking across Southeast Asia. As a graduate student, Garrett lived in Gunagzhou, China for a few months as well. “For her, Newman was a place where she could acquire knowledge and practice the skills that allowed her to become a difference-maker. She definitely makes a difference and will continue to do so wherever she is,” McFall said. Garrett spoke about her time after Newman. “The education I received at Newman enabled me to get where I am today. In 2016, I completed a master’s degree in international affairs from the Bush School of Government and Public Service at Texas A&M. Immediately afterward I received the Presidential Management Fellowship, a nationwide training program designed to get young people into the U.S. government. I just completed the program and currently work for the Air Force in Los Angeles,” she said. Since her post-graduation adventures, Garrett has taken time to return to Newman for speaking engagements and to visit her professors. Visits like hers allow alumni to share what they have learned in experiences outside of the universit.